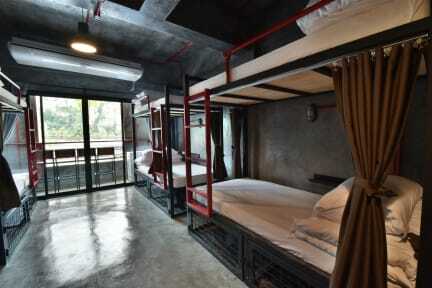 Ideal for fun and relaxation, Sleeper Hostel is located in the Ao Nang area of Krabi. Set from the excitement of the city, this 2-star hotel commands an excellent location and provides access to the city's biggest attractions. With its convenient location, the hotel offers easy access to the city's must-see destinations. At Sleeper Hostel, every effort is made to make guests feel comfortable. To do so, the hotel provides the best in services and amenities. The hotel provides free Wi-Fi in all rooms, convenience stores just across the street, daily housekeeping, postal service, Wi-Fi in public areas to ensure our guests the greatest comfort.